What is CCL? At its core, it’s about better connecting our education system with a rapidly changing and increasingly diverse job sector – with a focus on STEM (Science Technology Engineering and Math) education. I got a crash course in CCL and participated in discussions about how to launch this revolution at this week’s Governor’s Summit on Career Connected Learning, a statewide conference attended by nearly 1000 people from education, industry and government across dozens of locations in Washington. Anne Nelson from the Department of Commerce recommended I attend this summit because its goals closely align with ProjectWA. Over the past year and a half, we’ve been working to connect students in the classroom with the community around them. With technology as a lure, we’ve engaged students in civics, history, economics and storytelling – helping solve real community problems in the process and hopefully better preparing these students for the 21st century workforce. With apps like Washington State Insider, St. John Explorer or the Monuments Project, these students have done real work that’s benefitting the world around them. At the Governor’s Summit, Chris Reykdal, Washington State Superintendent, pointed out that we spend $3 billion annually on high school education, yet only 50 percent of students ever set foot on a college campus. He wasn’t necessarily implying that we need to increase that percentage. Reykdal’s point was that there are many routes to a career, and our education system needs to do a better job of providing “meaningful pathways to the world of work.” STEM jobs don’t always require a four-year college degree. How do we restructure our education system to create better connections and clearer paths between education and industry? The Governor has launched a CCL taskforce, and we were introduced to a policy framework for expanding learning opportunities to all young people. It focuses on developing a public-private partnership to create a career-ready education system through more training and resources, more externships, expanded CCL access to rural and underserved communities, stronger mentorship programs and helping students plan earlier for what happens after high school. I’ve met with several innovative schools across Washington State, who are taking innovative approaches to learning and creating connections between students and the business community. College Place High School in Walla Walla County takes a project-based approach, making sure students graduate with a solid “fifth” year plan to be productive citizens in a global economy. Riverpoint Academy a STEM+Entrepreneurial high school in Spokane has students take on real-world challenges, working with professionals from the community. What impressed me most about the Governor’s Summit is that it covered both theory and action. There was a big focus on walking away with very specific actions that each individual will take to implement the new CCL framework. A summit participant at my table came up with the idea of using the 468 Field Trip platform to create a guide for students to all the STEM-related businesses in the community. We’re meeting next week to see how we can implement that plan. I left the Governor’s Summit on Career Connected Learning inspired and even more energized to help take a new approach to education. The revolution has started. Whether you’re in education, industry or government, you can play a role in that. The original ProjectWA team reunited at Seattle’s Washington Hall on May 30th to receive our award for Outstanding Achievement in Historic Preservation from the Department of Archaeology and Historic Preservation. Congratulations to Anna, Ava, Mallory, Shayna, Sonnette and Mr. Rovente for your innovation and hard work to help raise awareness of our state’s heritage. And, thank you to the State Historic Preservation Officer for this recognition. On January 23rd this year, my ProjectWA partner-in-crime, Anthony Rovente, and I received an email from a guy named Tom Neville in Paris, France. He asked us if, “ProjectWA might like to go beyond WA.” It didn’t take long for Anthony and me to answer, “Why not?” – which is exactly what we said a year earlier when we came up with the idea for ProjectWA. A little more than three months later, that “Why not?” has turned into the Monuments Project, which we announced at a ceremony this week in the Columbia Room of the Legislative Building in the Washington State Capitol in Olympia, WA. Similar to ProjectWA, the Monuments Project is an effort to tell history’s untold stories. In this case, the stories are about 29 Washingtonians who lost their lives in World War One and are buried in the Suresnes American Cemetery outside of Paris, maintained by the American Battle Monuments Commission. This time around, the students at Lopez Island School are working with students 5000 miles away at the American School of Paris (ASP). Collectively, they will research and document the backgrounds of these Washingtonians who made the greatest sacrifice. On the Monuments Project website and, ultimately, the Monuments Project app, this transatlantic effort will uncover photos, letters, newspaper articles, speeches, draft documents and who knows what else. For the past three months, Anthony, Tom, his instructional technology coach, Claude Lord, and I have been doing weekly Skype calls to plan this project. It quickly became clear that we would need access to as many historical archives as possible – in the U.S. and Europe. When I mentioned this to the Office of the Secretary of State, which oversees Legacy Washington and the Washington State Archives, they immediately offered their assistance. They were also in the process of planning an event at the State Capitol with the Washington State Historical Society to commemorate the 100th anniversary of the U.S. entrance into WWI. So they invited us to announce and demonstrate the Monuments Project at the April 25th ceremony in Olympia. We invited both Lopez and ASP students to participate in the WWI ceremony, which was heavily attended, with remarks from historian Lorraine McConaghy, State Senator (and history buff) Steve Conway, and Deputy Secretary of State, Greg Lane. Lopez student, Kayla McLerren, kicked off the event by leading the group in the Pledge of Allegiance. Anthony and the students presented Monuments Project from the podium, while Tom, Claude and two of their ASP students presented via video. It was a site to behold – not only the use of technology to drive interest in history, but perhaps more fundamentally the example we were all setting for how the world should be collaborating across borders. After the ceremony, we proceeded outside to lay a wreath at the WWI monument right outside the Legislative building. Then, Deputy Secretary of State, Greg Lane, treated the Lopez students to a tour of Secretary of State, Kim Wyman’s office. We learned some interesting history during that tour, including the fact that Secretary Wyman is only the second Republican woman to hold statewide office in Washington State (the first was 100 years ago). We also learned how the Secretary of State ended up with the sweet corner office in the Legislative building when it was built nearly 100 years ago. You guessed it, it was due to partisan politics. The Governor at the time was giving the State Legislature a hard time about spending so much money on the building’s furnishings – even touring the state with one of the opulent chairs they’d purchased for offices. Well, the Legislature had the last laugh: they placed the Governor’s office at the far corner of the building – the farthest distance from the Governor’s Mansion. The Secretary of State got what had originally been planned to be the Governor’s office. Finally, a bit of fun. Deputy Secretary Lane taught us that the Secretary of State is responsible for the Washington State Seal. The official seal maker, which weighs about 50 pounds, sits in the corner of the office. Each of us got a chance to try it out, stamping our own gold seals. It was quite a day in Olympia. As we enter the centenary of The Great War, everybody is excited about the stories we’ll tell. Follow along at monumentsproject.org and on Instagram. The Monuments Project mobile app will launch in early June 2017. When Anthony Rovente and I created ProjectWA with a group of Lopez Island students in 2016, one of our long-term goals was to extend this model of education to other schools. That goal came to fruition last week when St. John Catholic School in Seattle launched their own version of ProjectWA with their 7th and 8th grade students. Using the 468 Field Trip platform, St. John has created their own app, St. John Explorer. In their social studies classes, the St. John 7th and 8th graders have begun the process of researching the historic locations they want to add to their app. I helped kick things off last week by telling the story of what we did on Lopez Island and showing the students how they can play a bigger role in educating others about history. The 7th graders will create content associated with their spring history trip around Washington State à la ProjectWA summer road trip. The 8th graders are focusing on the other Washington, where they plan to visit in May. I can’t wait to see what places they decide to add to the St. John Explorer app (available on App Store and Google Play). In mid-June, from the northern tip of Lopez Island, my family and I drove our ProjectWA-branded RV onto a Washington State Ferry to begin a two-month exploration of the Evergreen State. After reflecting on our 2000-mile adventure, I would like to share a few of the lessons we took away from the experience. 1. We can live on less. Much less. There’s nothing like living for two months with three other humans in a 24-foot motorhome to remind you of how little we really need to survive. With no room for excess, everything was a ration: food, water, power, clothes and personal space. In some ways, all these constraints made daily life easier. With only the color of the day’s ProjectWA t-shirt to decide on, getting dressed was pretty straightforward. Bathing not so much. I regularly wondered by what order of magnitude my water consumption fell by being limited to 3-minute showers in state parks. As we crisscrossed the state, we learned about the constraints under which people before us lived – long before the invention of the RV. When pioneers arrived via the Oregon Trail, everything they owned was packed into a four-foot-by-nine-foot covered wagon. Before American and European settlers showed up in the Pacific Northwest, native tribes maintained a much smaller footprint. Even the large plank houses of the Makah were a lot smaller than today’s average American home. I’m not about to compare our RV lifestyle to that of the original peoples or American pioneers. After all, our motorhome was equipped with a microwave oven. No matter how one does it, I encourage everybody to force themselves to live on less for an extended period. The world would be a different place if everybody had to deposit 25 cents after every minute in the shower. 2. Washington state’s water has changed the world. One look at Washington state on the map shows that water defines our existence – from the mouth to the Columbia to the upper reaches of Lake Roosevelt. This summer we learned how water dramatically changed the way of life for not only the inhabitants of the Pacific Northwest, but also the world. The Missoula Floods of the last Ice Age gave us the unique landscape we know today. David Thompson’s 12-day, 500-mile canoe trip down the Columbia River in 1811 helped create a global economy by completing a trade route across North America to Asia and Europe and back. The hundreds of dams placed along our rivers over the past century transformed agriculture in the state and created a source of electricity that helped produce the first atomic bomb at Hanford. Those same dams wiped hundreds of small towns off the map and eliminated salmon runs that had been in place for millennia. Today, some of those dams – like the Elwha River Dam – are being removed, leading to even more dramatic changes to the ecosystems surrounding them. Some of the most significant events in world history can be linked to the water that flows through Washington state. 3. Washington is incredibly diverse. By many measures, Washington state has to be one of the most diverse states in the U.S. During our summer tour, we saw almost every type of land formation, body of water and climate imaginable. We started and ended our trip on a ferry navigating through the many islands dotting the Salish Sea. We drove through mountain passes in the north, south, east and west – usually with snow-capped peaks towering above us. We camped on lake shores, river banks and ocean beaches. We hiked through the arid hills of the Palouse, the dry desert of central Washington and the wet trails of the Olympic Rainforest. The chore of breaking camp was always exciting because we knew we were about to travel through an area that was radically different from the one in which we’d been staying. 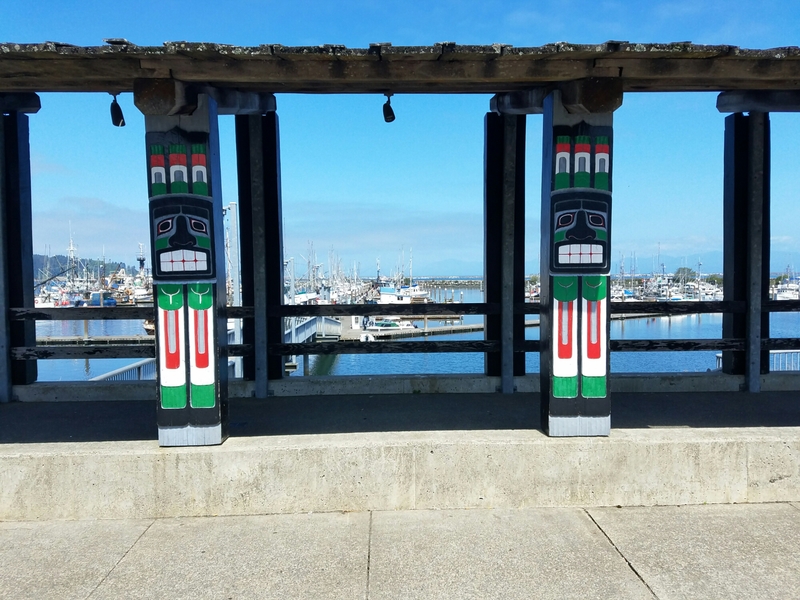 Though statistically not the most ethnically diverse state in the union, Washington is made up of people from every background – from the Volga Germans of Ritzville to the Makah of Neah Bay. With our road trip falling during the major parties’ election year conventions, we passed by countless yard signs reminding us of the political extremes that exist in Washington state. If you want a sense of just how diverse this country is – on every level – I strongly encourage you to travel from one side of Washington to the other. 4. This land doesn’t belong to us. “ProjectWA” almost seemed like a misnomer by the end of the summer. Most of what we experienced during our trip reminded us that the vast majority of this region’s heritage dates back long before 1889, when Washington became the 42nd state. U.S. citizens are newcomers here, and we have a lot to learn from the people who occupied this land for thousands of years before David Thompson took his canoe down the Columbia River. For instance, before the creation of Lake Roosevelt that flooded the Kettle Falls, Native Americans figured out how to fish sustainably – allowing large numbers of salmon to spawn upriver before the first fish was plucked from the falls every year. The Makah practiced sustainable whaling for 1500 years, using every part of a whale for subsistence, before unsustainable whaling by other cultures placed whales on the endangered species list. Yes, there is so much to learn and be proud of from the past 200 years. But no examination of Washington state is complete without an understanding of who inhabited this region before its “discovery” just a few hundred years ago. 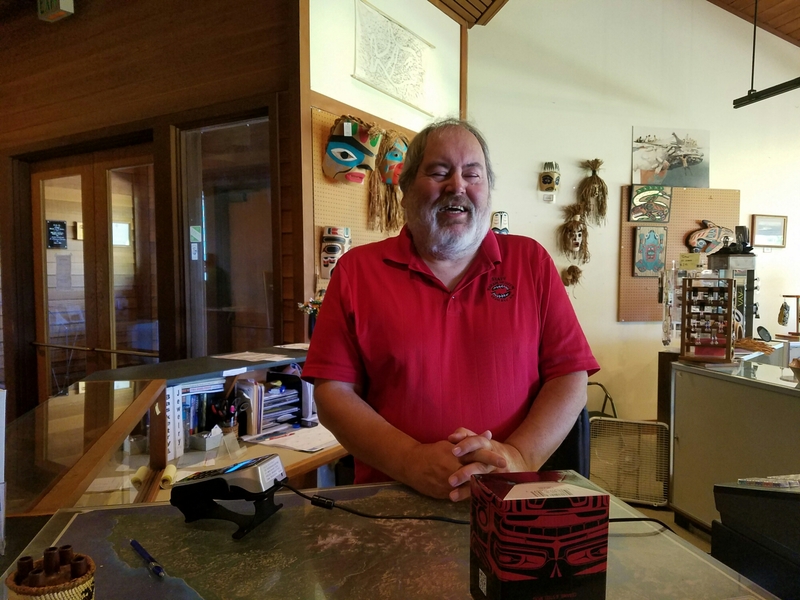 When you’re in Northeastern Washington, look up Joe Barreca, president of the The Heritage Network. 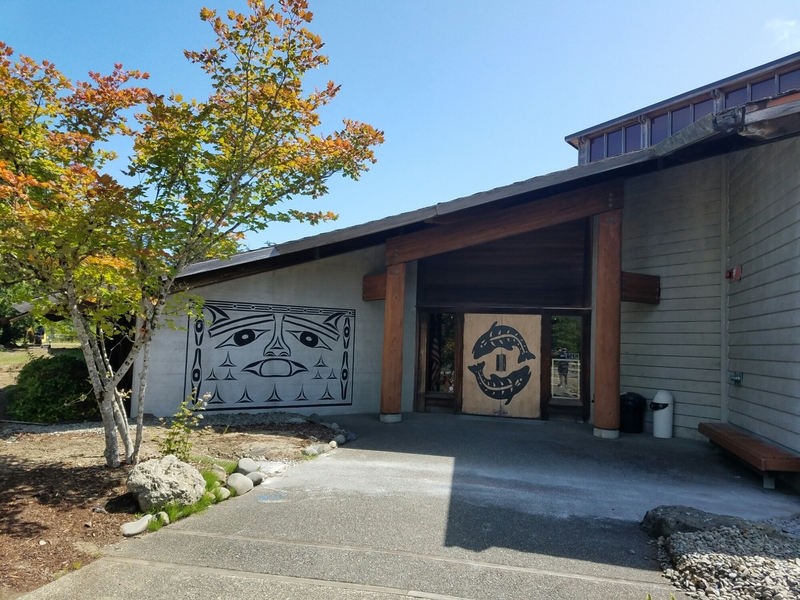 And the next time you’re on the Olympic Peninsula, pay a visit to Kirk Wachendorf at the Makah Museum in Neah Bay. What you’ll learn from them is that this land doesn’t belong to us as much as we belong to the land. 5. We should invest in a heritage economy. Washington state’s secondary highways are the Main Streets of so many small towns, and it seems like our ProjectWA RV drove through most of them this summer. Unless one stops and looks around, it’s easy to put all of these communities into the same category: towns that peaked sometime in the 20th century and have been in decline since losing a major industry – usually one based on a natural resource such as timber, mining, farming or fishing. When we did stop to investigate, Team ProjectWA quickly discovered a gold mine just below the surface of these small communities: their unique heritage. Whether it’s the baptismal font installed without a drain, the insider trading that established a county, or the haunted hospital on the hill, the stories of these towns run deep. With a little creativity, like what Colfax has done with its ghost hunts, a new heritage-based economy can emerge to supplement or replace the industries that allowed these communities to thrive in years past. Creating a heritage economy isn’t about building more museums. It requires engaging people in the community’s unique history in a way that makes them want to stick around and explore more. Doing so is of course easier said than done. Community leaders must find a new way of doing things and challenge old assumptions. In Colfax, Val Gregory turned her town’s greatest weakness, abandoned buildings, into a strength: revenue-generating ghost tours. Given its presence in our daily lives, technology should play a role in a heritage economy. What a group of Lopez Island middle schoolers and I did with Washington State Insider is just one use of technology to showcase history and drive exploration. Spokane Historical, created by EWU students, is a great mobile app and website that tells the stories of Spokane and Eastern Washington. Lake Chelan is placing interactive kiosks around the state to grab travelers’ attention. And, we all saw how Pokémon Go got people exploring all kinds of places this summer. Regardless of how it’s done, the key to maximizing the return on a community’s historical assets is to make its heritage relevant to a new generation. Our ProjectWA summer will not be soon forgotten. After traveling more than 2000 miles around this state, my family received much more than a history lesson. We became deeply connected to our home and inspired to make “old” things new again. The “Evergreen State” moniker has taken on an entirely new meaning. This was how Interpretive Specialist, Kirk Wachendorf, ended most of his statements during our conversation at the Makah Museum in Neah Bay earlier this week. What’s complicated for Kirk is explaining the current state in which the Makah Tribe finds itself after two hundred years of intertwining the cultures of the native Makah and relative newcomer Americans. The Makah Nation makes up about 28,000 acres on the Olympic Peninsula in the northwesternmost corner of Washington state. Before the Treaty of Neah Bay, signed by the U.S. government and Makah Tribe in 1855, the traditional Makah homeland was as large as 700,000 acres. That treaty represented the first of many agreements between the Makah and the U.S. that have massively impacted this Tribe’s way of life. The Makah, more than any other Native American tribe, has relied on the sea for its survival. Traditionally, the Makah were known for whale and seal hunting and salmon fishing, which they practiced sustainably for thousands of years. That has all but come to an end as countless marine animals have become endangered and salmon populations have dwindled. In 1974, to help address salmon habitat loss due to logging, pollution, dams and overharvesting, the U.S. federal court’s Boldt Decision helped reaffirm the Makah right to fish in their “usual and accustomed places and stations” while restricting the amount of salmon caught by non-natives. The years following the decision were filled with conflict, as non-native fisherman resented their Native American counterparts for the impact this had on commercial and recreational fishing. Yet, as Kirk says, “it’s complicated.” The Boldt Decision, intended to both protect salmon populations and the Makah way of life, ended up drastically affecting the economy around Neah Bay. According to Kirk, Neah Bay’s unemployment rate now ranges between 50 and 80 percent, depending on the season. Before he graduated from high school, it never reached higher than ten percent. What happened for Kirk was the discovery of the Makah Indian coastal village of Ozette in 1970 – a year after Kirk graduated from Neah Bay High School – when tidal erosion exposed a group of 500-year-old Ozette homes that had been perfectly preserved in an ancient mudslide. Led by a group of W.S.U. archaeologists, the now famous Ozette Dig 15 miles south of Neah Bay is perhaps the most significant archaeological find in North America. In 1973, Kirk helped establish the Makah Museum, which is the sole repository for the artifacts found at Ozette. The museum, where I spent the better part of a morning this week, does a great job of telling the story of the Makah – and by extension – the story of most Native Americans. Upon entering the exhibit area of the building, one is confronted by a poster laying out historical facts we all should know. For instance, in exchange for retaining their fishing and whaling rights, the Makah ceded 300,000 acres of tribal land to the United States. In the years that followed, government representatives – Indian agents, missionaries and school teachers – worked to assimilate the Makah through laws against potlatches, ceremonies and speaking the native Makah language. After the Indian Treaties of the 1850s, in order to retain their tribal affiliation, individuals would have to prove to the U.S. government that they were at least one-quarter Makah. With only 2200 members of the Makah Tribe left, this has become increasingly hard to do. Kirk, who was born one-quarter Makah, decided to marry his second cousin so that his children would be recognized as members of the tribe. Because, by federal law, one can only be a member of one tribe, marrying individuals from other tribes doesn’t count towards one’s tribal affiliation. These are among the “complicated” facts one learns at the Makah Museum. Anybody remotely interested in Washington state history should make the museum – and others like it around the state – a must stop. The story of the Makah provides important context for all the other stories of the past two hundred years since Lewis and Clark’s Corps of Discovery expedition. Beyond its excellent museum, the Makah Reservation has a lot to offer anybody who visits. 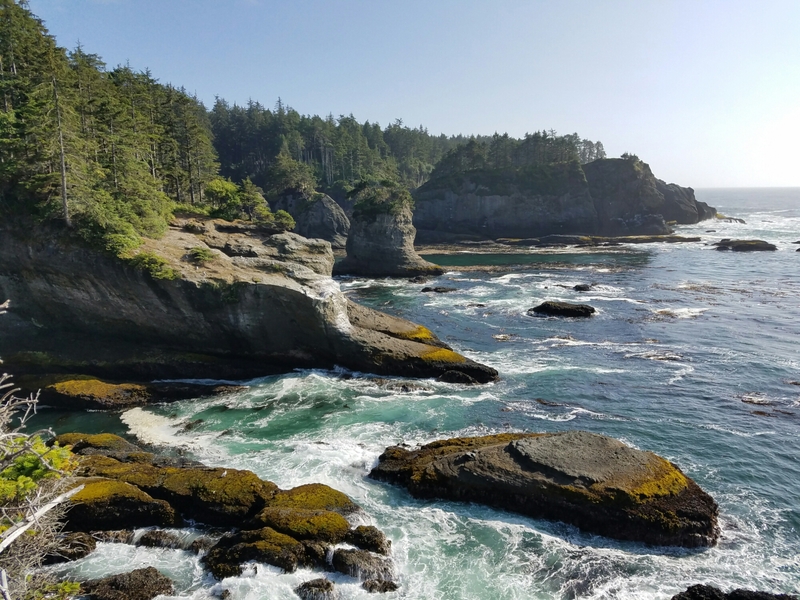 Cape Flattery, the northwesternmost point of the continental U.S., has some of the most beautiful scenery in the state, if not the country. 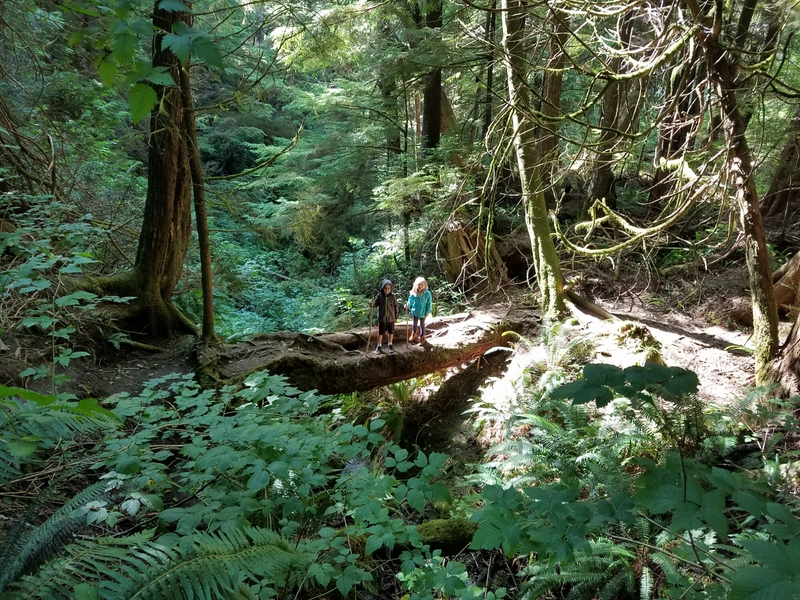 The Makah maintain a raised wooden trail that winds through old growth forest on its way to the cliff that overlooks the Pacific – where Makah first saw “houses on the water people” approaching their land. The trails around Lake Ozette are just as picturesque. And the beaches are perfect for everything from sand dollar collecting to surfing. Cape Flattery, Makah land and the northwesternmost point of the continental U.S. 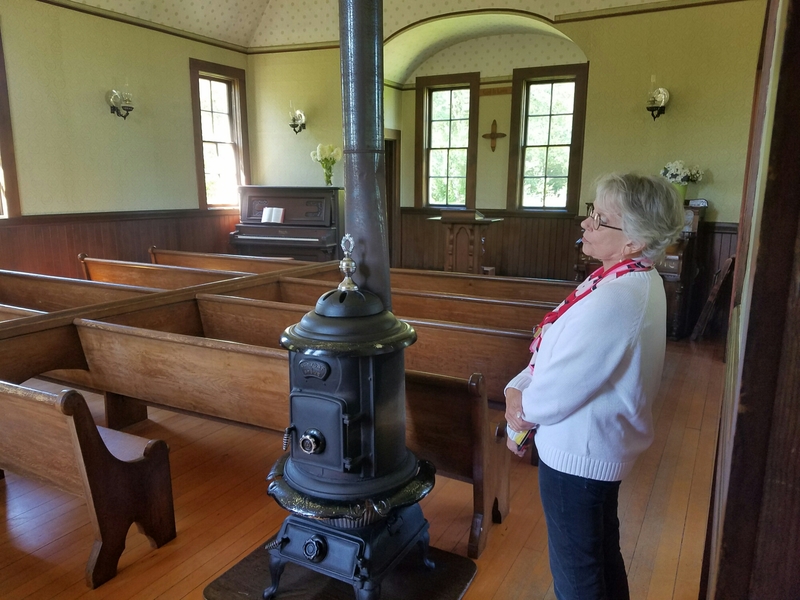 The Oysterville Baptist Church was built in 1892 so that the town’s founder, R.H. Espy, would no longer have to host services for the town in his living room. Baptisms, though, continued to take place in nearby Willapa Bay, because the church was built without a baptismal font. That was about to change. A font had been installed under the church’s dais, and Oysterville parishioners were busy getting ready for their town’s first indoor baptism. Hundreds of gallons of water were carried, bucket-by-bucket, from the town’s well to the church – a task that took the better part of the morning. The child was baptized, refreshments were served in the parsonage, and the Baptist Church had a new official member. All was right in Oysterville. That is, until the cleanup crew realized one fatal flaw in their baptismal font: it had no drain. And then, the same folks who’d spent all morning filling the font spent the rest of day emptying it. Bucket by bucket. This was the first and last baptism ever to be held in the Oysterville Church baptismal font. Sydney Stevens, great grandchild of R.H. Espy and co-chair of the Oysterville Restoration Foundation, told me this story as we stood in front of the town’s historic church this week. As I reflect on my visit with Sydney, I realize that this isn’t just a humorous story about an ill-fated baptismal font. In many ways, this is the story of Oysterville itself. 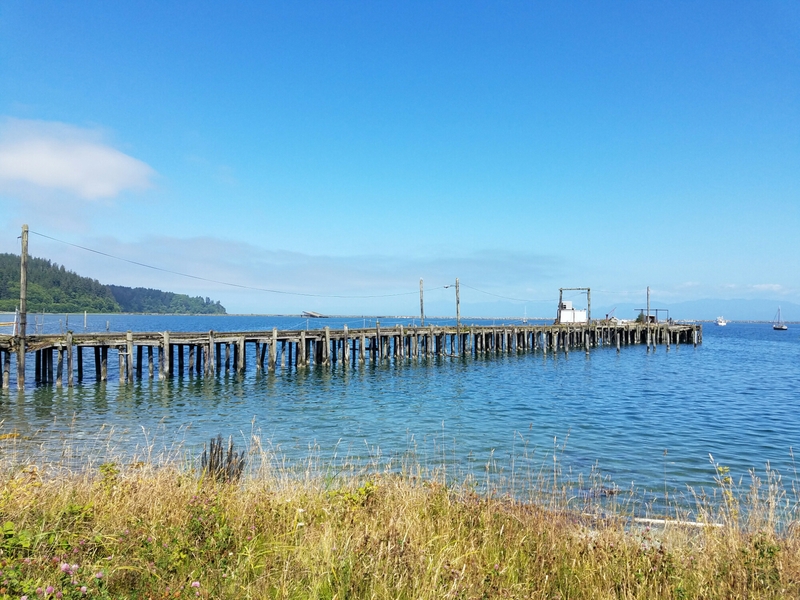 For those not familiar with this small town, Oysterville used to be the County Seat of Pacific County, Washington state’s southwestern-most county that serves as the gateway to the Columbia River from the Pacific Ocean. The town is the northern-most town on the bay side of the Long Beach Peninsula, facing Willapa Bay to the east. 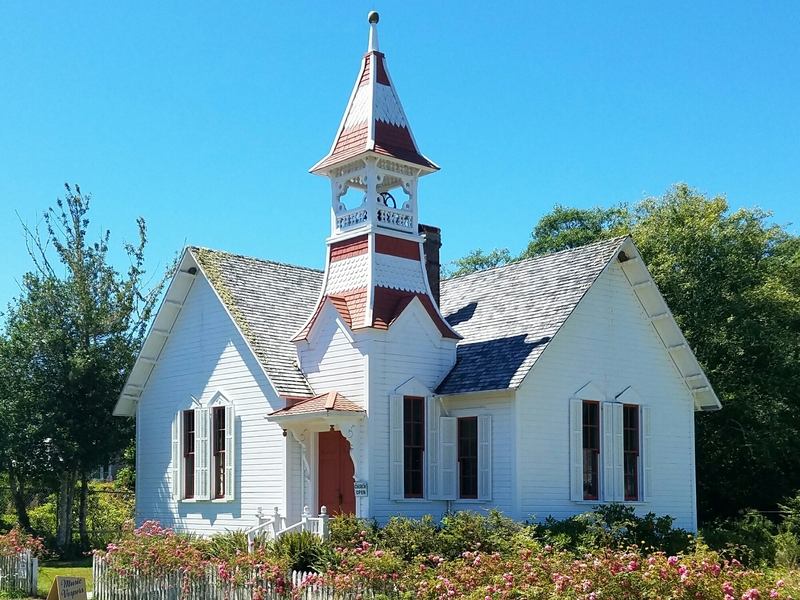 Oysterville’s most reported claim to fame is the fact that its hold on the county seat was wrested away on February 3, 1893, when residents from across the bay stole the county records and returned to South Bend, which was to become the new county seat. Oysterville’s future wasn’t determined by the midnight raid on its records house. Its fate was sealed by geography. As railroads started to crisscross the Northwest in second half of the 19th century, the location of depots had a huge impact on whether a town thrived. One look at a map of the Long Beach Peninsula is all you need to decide it’s probably not worth it to lay tracks all the way to the tip. The furthest north the Ilwaco Railway ever reached was Nahcotta, four miles south of Oysterville. Despite its proximity to Willapa Bay, Oysterville was just as difficult to reach by water as it was by land. The bay’s original name was Shoalwater Bay, indicating to sailors they should steer clear unless they wanted to run aground. Half the bay’s water leaves it at low tide. Needing to wait for high tide, it was difficult for ships to navigate to the shores of Oysterville. 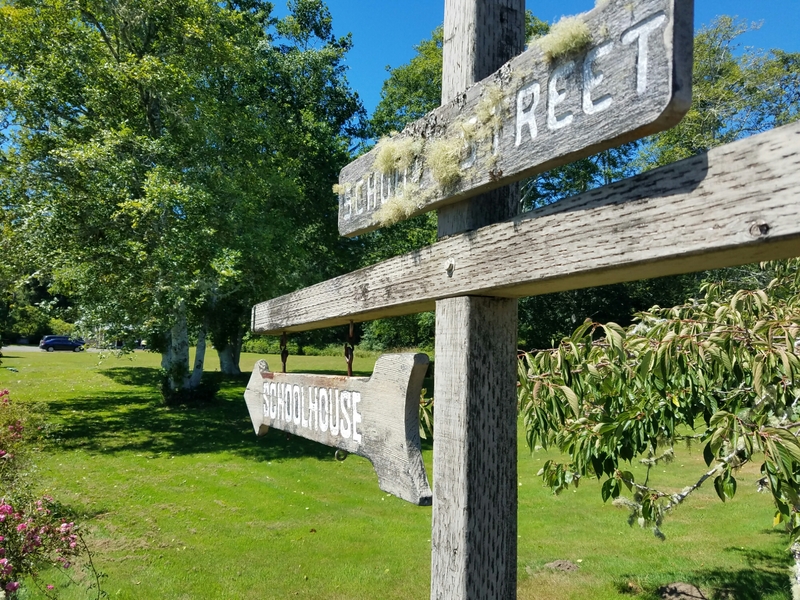 Due to its geographic challenges, even its one-time booming oyster industry wasn’t enough to attract enough people to turn Oysterville into the size of town that R.H. Espy probably once dreamed it could be. I imagine R.H. having a “no drain” moment as he came to grips with the fact that his town was out of reach for the main modes of transportation of his day. With 14 residents (30 if you count the part-timers), Oysterville is better described as a neighborhood that has some really interesting history. It’s primary industry? Storytelling. It’s Chief Storytelling Officer? Sydney Stevens. When I asked Andi Day, Executive Director of the Long Beach Peninsula Visitors Bureau, whom I should contact to get a good local history lesson, she immediately pointed me to Sydney. 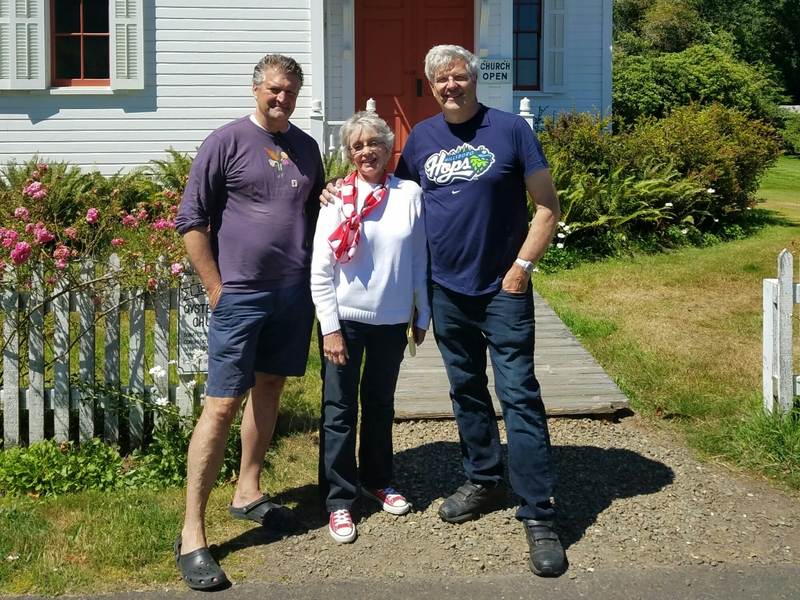 She lives with her husband, Nyel, in the house her great grandfather bought to use as a parsonage for the Oysterville Church. 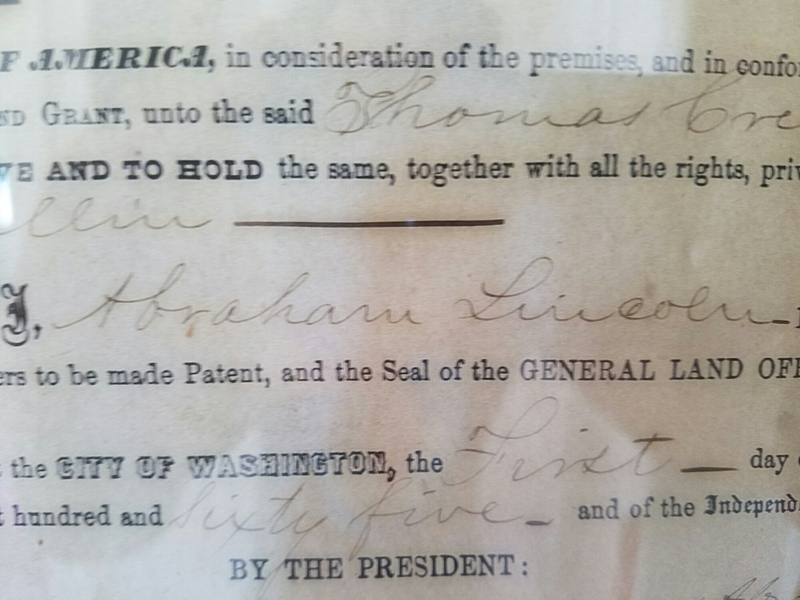 Hanging on the wall of the house is the deed for the land on which the house sits, which was signed by Abraham Lincoln. Since retiring as a teacher, Sydney has become an incredibly prolific author about all things Oysterville and the Long Beach Peninsula. Beyond her numerous books on the area’s history, Sydney posts every single day on her blog, sydneyofoysterville. The stories started from the moment I sat down on Sydney’s couch. She’d read my post on Colfax’s haunted hospital, which sparked her first tale about the wife of Oysterville’s first preacher, who mysteriously drowned in Willapa Bay – most likely due to foul play by the preacher, Josiah Crouch. Sydney, who doesn’t really believe in ghosts, is pretty sure Mrs. Crouch maintains some kind of presence in her house. I was so interested in the story, I bought Sydney’s Ghost Stories of the Long Beach Peninsula book on the spot. After reading it, I definitely plan to buy more. Sales of Sydney’s books are probably the single biggest contributor to Oysterville’s economy. That, and sales of burial plots in the cemetery, which Sydney also happens to manage. Demand for space has slowed as the town’s population has dwindled. “We still have lots of room,” joked Sydney, as she told me about how the cemetery was doubled in size (from one acre to two) in the 1970s, before cremation gained in popularity. As we talked outside the church, over walked Tucker Wachsmuth, one of Oysterville’s 14 residents, and his cousin Cory Schreiber, from Portland. Both are descendants of another one of Oysterville’s early inhabitants. Tucker’s wife, Carol, in her early sixties, is the youngest resident of the town. Realizing that the average age in Oysterville is probably north of seventy, I asked Sydney what she thinks will happen to the town in the future. “Well, my only son just turned 60; he doesn’t have children, and I don’t expect that to change,” she said. Though it’s clear to me that Sydney, at 80, has many more good years in front of her, it’s not entirely clear what will happen to this little community with such a rich history once she “shuffles on.” Sydney has done an amazing job of documenting the area’s stories. Somebody needs to step up to continue the good work she’s done. When I asked Tucker Wachsmuth what he’d like to see happen to Oysterville, he said: “I’d like to see more young families move here.” I agree that’s probably the best way to ensure Oysterville’s population doesn’t continue to shrink. If that’s what the town agrees should happen, it might be time to install a drain in the baptismal font.